Compact size bell metal kartals, approximately 2.5 inches in diameter. 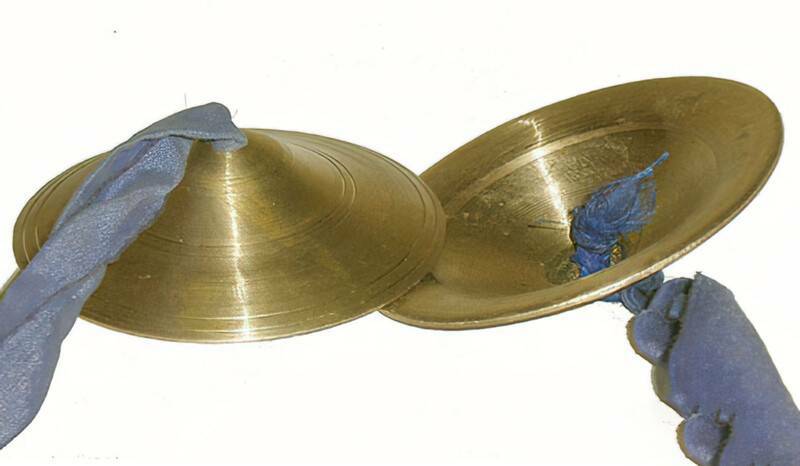 Traditional Indian hand cymbals for accompanying devotional song. Made of pure unadulterated bell metal which holds a ringing tone for 30 seconds. Best quality kartals which produce the finest sound. This slightly smaller size is perfect for home worship and traveling.